Hey y’all! 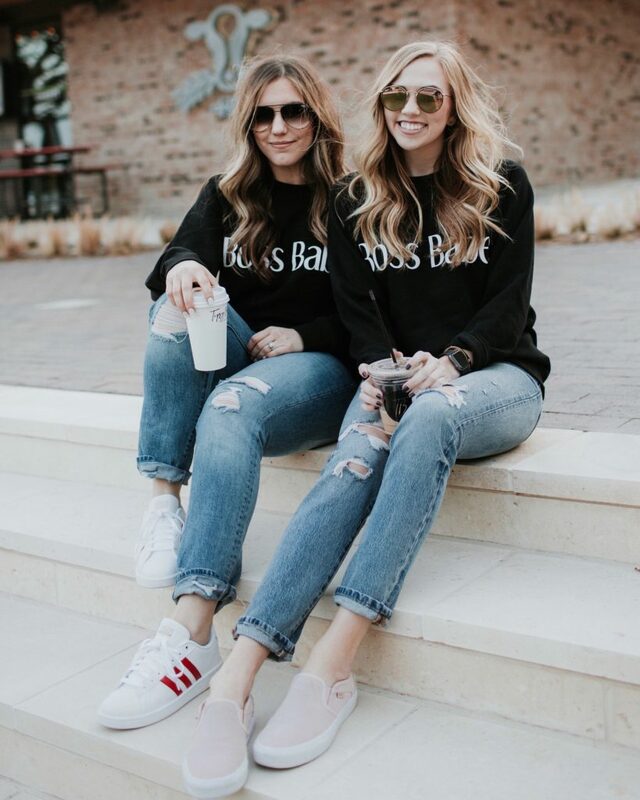 My photographer, Madi, is joining me today to talk all things boss babe. We are both in the creative industry and have built our brands from the ground up. Forming our own businesses have been so rewarding and fun, but there have also been many setbacks. 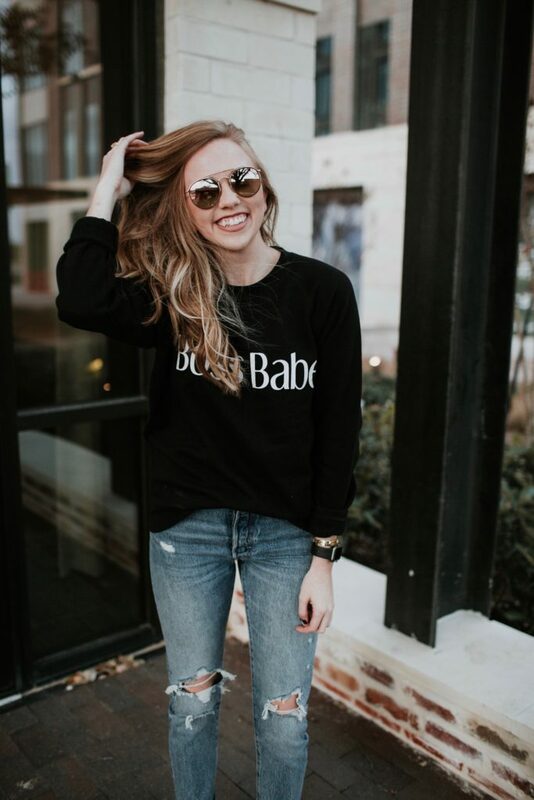 This blog post is meant to inspire all of you boss babes out there who are either starting from the bottom or already climbing the ladder. Rachel: Most of you know the gist of what I do, but I haven’t had the chance to fully explain how I built (am still building) my career through my blog. At 20, I decided to drop out of college and attend cosmetology school. This decision was terrifying for me to make at that age. Not because I was scared it was the wrong decision, but a something I absolutely knew I wanted. It’s actually scarier to go after something you really want rather than settling for the safer option expected by social norms. After finishing school I went straight into working for myself as a hairstylist where I rented a booth in a salon. This required tons of work, investment of my time and money, and major dedication. But, in 3 ½ years I was able to build a full clientele for myself! Want to know how I was able to accomplish this? The utilization of social media. This is a topic I would love to create a separate post on if anyone is interested! 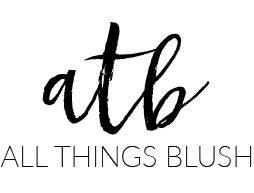 A couple years ago I was encouraged to start a fashion/beauty blog. Because I obviously have a huge passion for all things fashion and beauty I thought “why not put my shopping addiction to good use? !” As a hairstylist, I have always loved making others look and feel beautiful so the fact I can continue this on another platform has been one of the most rewarding things. It makes me so happy when y’all send me messages, emails, sweet comments, and even selfies utilizing some of my beauty tips! 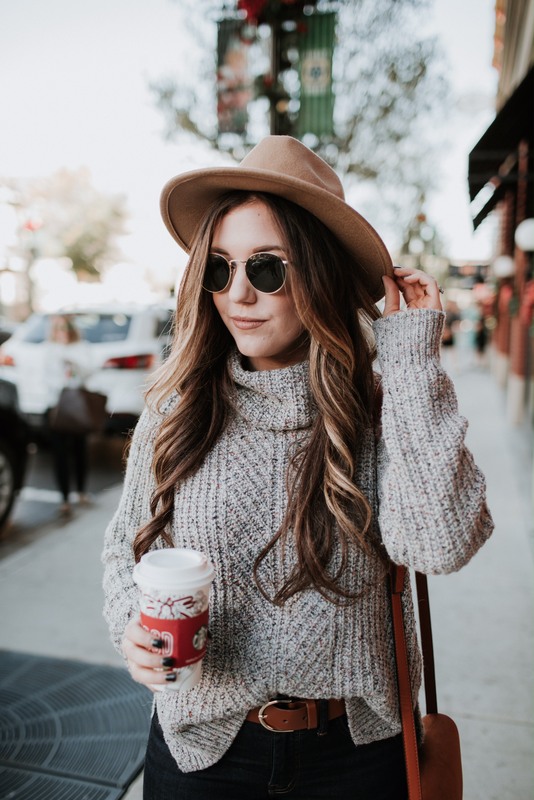 When I first started this blog it was all fun and games- talk about my favorite products, style some outfits, get some free stuff… But once I got the opportunity to start making money off of this, my perspective changed! 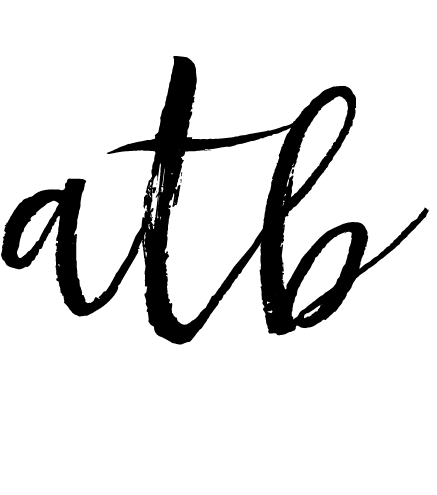 I decided to treat this blog more like a business/brand. I am still in the middle of figuring it all out, and learning as I go. Being in the creative industry (or just in life really) you are never too old or experienced to learn more. I am not perfect, and make mistakes in my life and career every day! But I try to remain humble through it all and learn from my mistakes to get better. I mean, I’m only 25 and just getting started! Madi: Hello hello! First I just want to say that this blog post has been SO FUN for me to help write. I actually have quite a love for writing, and I love that I am getting to share a little insight into my experience in this industry. I am primarily a wedding photographer, but I have a little (big) addiction to fashion. Hence being Rachel’s photographer! I sort of stumbled into this world, literally out of nowhere. I picked up my first “real” camera in 2015 and started by doing a few small shoots with family and friends. I began receiving compliments on the images and I quickly realized I had a love for telling stories and capturing real, raw moments. In January of 2016 I formed my LLC, shot my first two weddings, and met and began shooting Rachel! I never would have dreamed that I would have 10 weddings and 55 clients only two years after forming my business. There has been a LOT of behind the scenes that most people don’t see, however. The hours I have put into editing, building my website, and marketing myself are actually a little insane. There have been times when I wanted to quit, more creative ruts than I can count, and many thoughts of feeling “not good enough.” I have compared myself to others and thought “if I could just get to that point, then I will be successful.” But those thoughts got me nowhere. I created a successful business at the age of 20 by taking risks, stepping out of my comfort zone, and following a passion of mine. I have stayed true to who I am and tailored my brand to fit my personality and style as it has changed. My clients continually remind me why I do what I do: because I love love and capturing people in that state of pure bliss will never get old to me. Never be afraid to chase after your dreams no matter how crazy they might seem. I was a full-on business owner at the age of 20… talk about terrifying. And I’m still terrified at times, but I love what I do and the rewards always outweigh the scary. Running a business solo is not an easy task. Social media tends to portray only the glam side of the creative industry. No one wants to show off their weaknesses, but everyone has them. 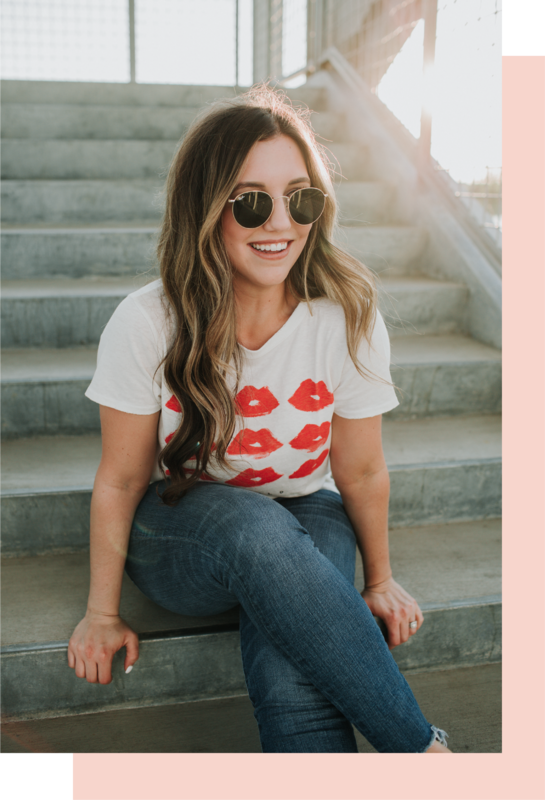 We want to be real with y’all and talk a little bit about a few of the messy things we have run into as small business owners. But you should always try and turn a negative into a positive, so we are also including a few tips to overcome the messy. Creative ruts – EVERYONE HAS THEM! At some point in your career you are going to burn out and want to quit. That doesn’t mean you aren’t still in love with your job, it just means you need to be re-inspired. You have a passion for what you do and you do it for a reason. Never lose sight of that reason. Creative ruts don’t define your work. If anything, they actually make your work better. We have come up with a few cures ourselves that we will share below, but everyone is different Find what works best for you and gets your creative juices flowing. Take a vacation. One perk of being your own boss is making your own schedule (which can also be a negative, we will talk about that next). If traveling is in your budget and you can spare a few days, then what are you waiting for?! Read a book. The list of books for creatives are endless. We recommend reading Big Magic if you haven’t already. It’s a great read whether you are just starting out in the creative industry or just need some extra inspiration. Listen to a podcast. Sometimes you need to find inspiration from an outsiders perspective. Listening to podcasts of other people’s stories, testimonies, or advice can help create a spark of inspiration! Pinterest is a magical place filled with pretty pictures and motivational quotes. Fill your boards with things that are inspiring to you. Go and add to those when you’re feeling a little uninspired. Work out. Both of us LOVE working out (okay, love/hate relationship with it). It helps us clear our heads to allow for new ideas to start flowing. Time Management – Running your own business allows you to make your own schedule which is awesome, but it can also be really easy to become lazy and put off deadlines. We have also been in situations where we have overworked ourselves and taken on too much. This is one of the easiest ways to get burned out on your work. Separate work from home/social life and remember to take time for yourself outside of your job. Time management looks different to everyone, so find what works for you to get sh*t done! Planners. One of my (Rach) favorite things to say is “if you fail to plan, you are planning to fail.” We are loving the May Design line at Target. They have a lot of different options depending on the type of planner you need. Time increments. If there is a deadline for something that you don’t necessarily want to be working on, spend 30 minutes working on it and then take a 10-minute break (set timers if you have to). Or spend an hour on that project before working on something that excites you. Just plan accordingly so you get it done before the deadline! Learn to budget your money. This is HARD, especially for us! We love to shop and fully believe in taking a cut of your own money, after all, you are the one that has earned it. Hire an accountant. Taxes are not fun, and if you don’t know what you’re doing then they are reaaaally not fun. We both have wonderful, amazing parents that have taken on the role of book keepers for us. They are life savers when tax time rolls around, plus it gives us more time to focus on the creative aspect of our jobs! I (Rach) have recently hired an accountant to take care of all my taxes. Fear of failure – Almost everyone has or will experience this at some point in their life. It’s easy to worry about what others will think or to compare yourself to others. When you do this, you will quickly find yourself feeling not good enough and having doubts of success. When you compare your success to other people, it’s not going to make you anymore successful. Only worry about your own success. We aren’t saying there won’t be times of failure along the way, because that wouldn’t be true. Just know that everyone experiences failure, but it’s how you overcome it that proves your success. Just go for it! Don’t give a sh*t about what anyone says or thinks. Find a fellow creative to bounce ideas off of. 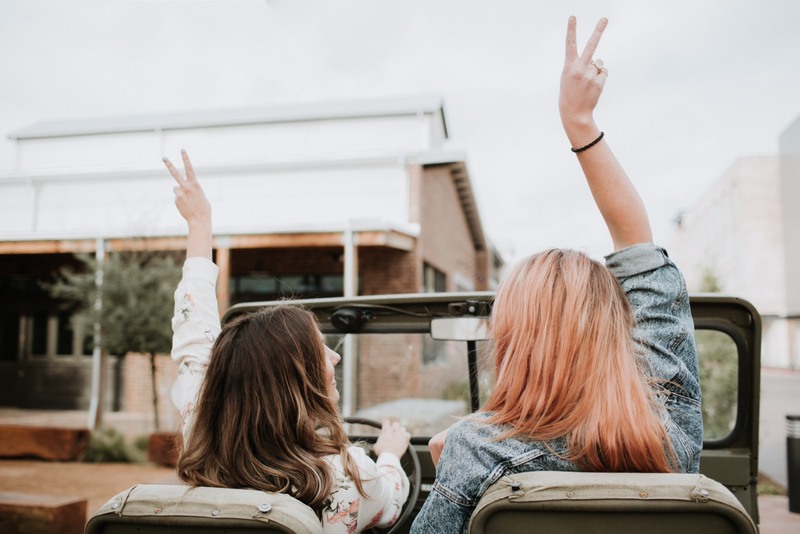 Get inspired together and encourage each other along the way. Surround yourself with positivity. Not everyone you are around has to be in the creative industry, but surround yourself with people that will encourage you and lift you up. People won’t always understand why you do what you do, but they can and should choose to support you through it anyway. Finding Authenticity – This is a big one in this industry. It is so easy to get caught up in finding inspiration from others that you straight up copy it. Know the difference between being inspired and being a copy cat. You won’t get anywhere by stealing ideas and being unoriginal. Being yourself is the only way you will stand out in this area of work. 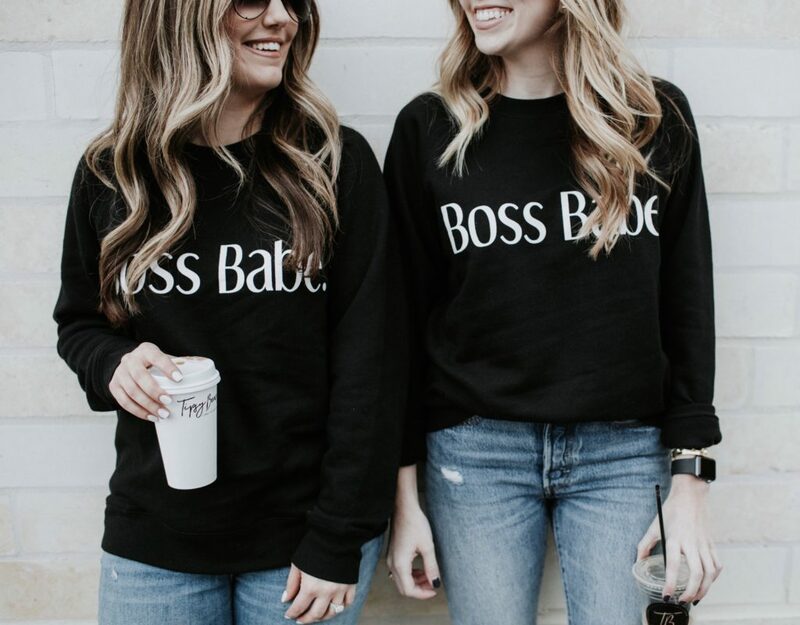 “If you’re always copying, you’re always behind.” – Boss Babe Inc. Put your own twist on the inspiration you find in others content. Find inspiration somewhere else. Put your phone down and start looking around you. You never know what could inspire you. Brand yourself and stay true to it. Don’t alter your style to fit someone else’s just because you see them being successful. Don’t be afraid to take risks. Pursue what you love doing and you will never work a day in your life. There will always be someone out there who is judging you or doubting you, prove them wrong. It’s going to be challenging, but the rewards along the way are so worth it! “Stop seeing competition. Stop feeling envious. Start seeing proof that you can do it. 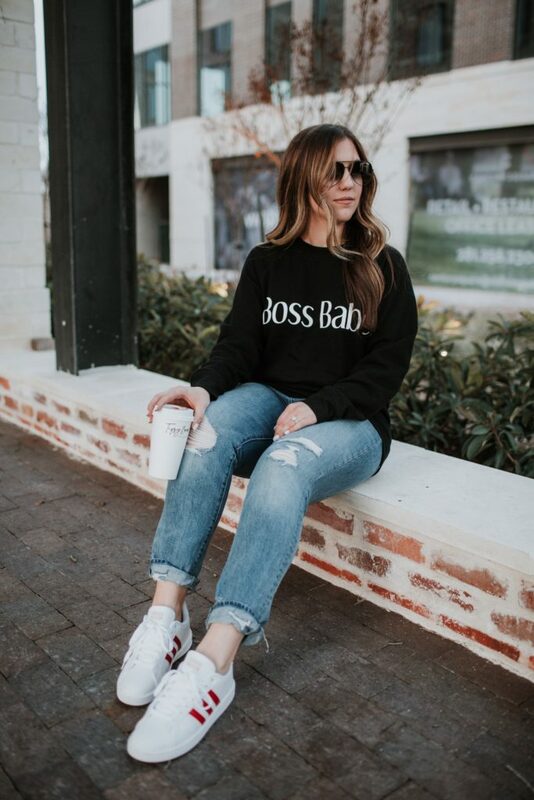 Start feeling inspired.” – Boss Babe Inc.